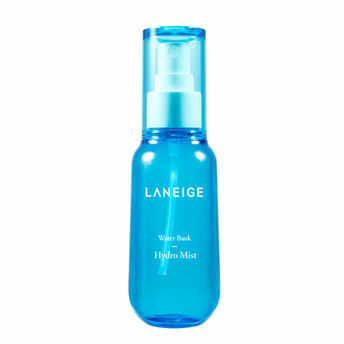 Water Bank Hydro Mist is a facial mist containing green mineral water extracted from vegetables to give an instant moisturizing boost to dry and stressed skin. Non-drying moisture recipe. Green Mineral Water makes the skin feel healthy and moisturized. The fog mist pump instantly provides abundant moisture to the skin. The patented ocean blue processing method provides non-drying, deep moisture. Explore the entire range of Toners & Mists available on Nykaa. Shop more LANEIGE products here.You can browse through the complete world of LANEIGE Toners & Mists .